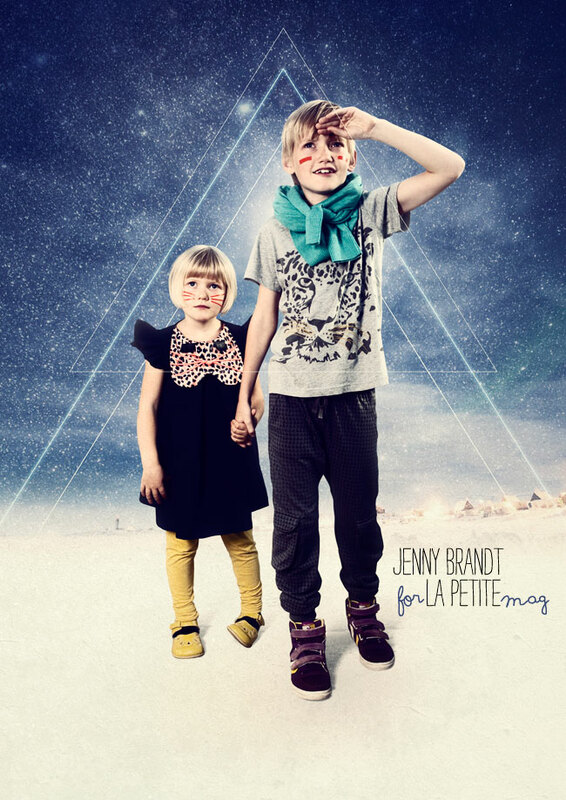 Today the latest issue of La Petite Mag hit the digital newsstands. 1- It is a great magazine filled with kids fashion. And..
2-because I have photographed a Sci-Fi story for them. Kicki Wieslander from Mustard did the styling. And my hubby Jens Grönberg did the artwork. You might recognize Jens´style from his previous work seen here! A big Thank you Timo, Irma, Viola, Laura and Morris for modeling for us (We know it is not always fun!) And also Thank you Bang Bang Cph and Life Is Sweet Agency and Blingo.com for providing us with some wicked pieces of clothing. Go here to see it all in the latest issue of La Petite Mag.